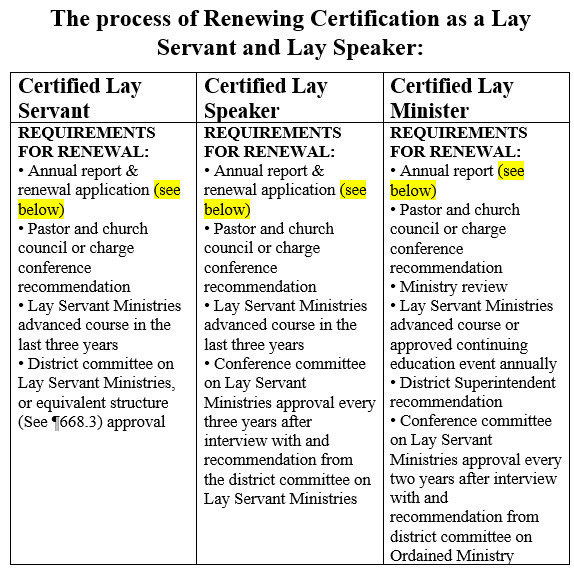 How do you become a Lay Servant, Lay Speaker, or Certified Lay Minister. The steps are outlined below. 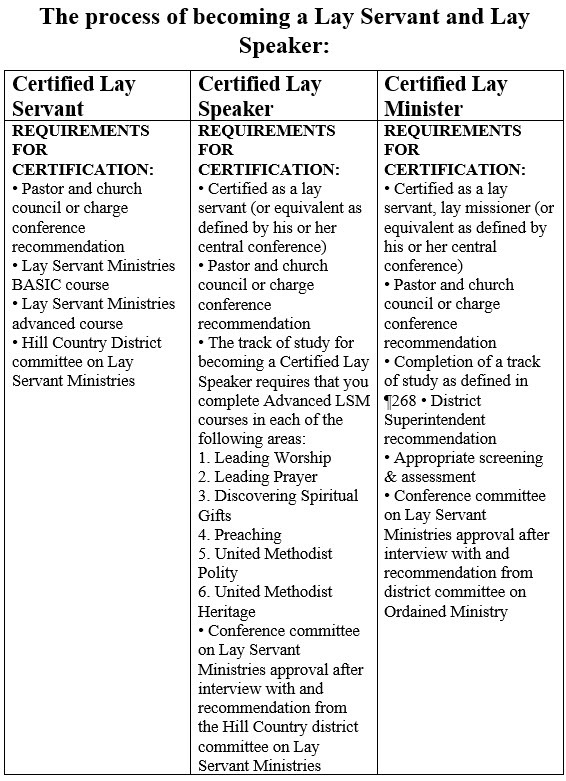 Are you already a Lay Servant? See below for what you need to do to maintain your annual certification.